68 people have viewed this property this week. Welcome to KiToCay! This 3,000 sq ft, sun-filled & solar powered home is located in the village of Old Man Bay within walking distance to Over The Edge Restaurant and Bar. The homeowner of this unique 2-story villa owns the adjacent lots as well. 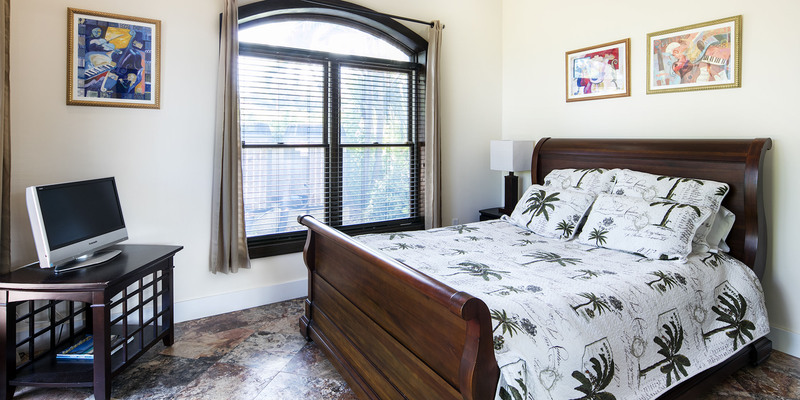 Both vacant lots are maintained and shielded from the road with palm trees providing guests ample privacy during their stay. 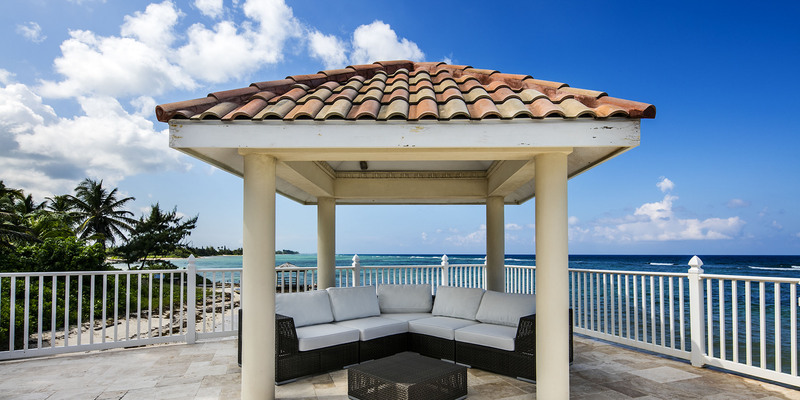 KiToCay boasts an enormous oceanfront living area with spectacular views, plus an over-the-water patio with tiled cabana. Many of our guests have compared the views and feel of this house with that of being on the bow of a cruise ship, with the open ocean enveloping your senses from virtually every angle. The main level patio has access to the water down below. However, the best way to access the water would be from either of the sandy lots adjacent to the home. The owners have dubbed the east lot "ToKi Beach" and added a hammock ringed with coconut palms for guests to enjoy. Guests have used this beach to host small wedding ceremonies, rehearsal dinners, and private events. Snorkeling here is incredible with many coral heads and marine life in the shallows. The reef is about 100 yards straight out, but we advise snorkeling along the east of the boat channel (marked with navigation poles) to avoid the current. 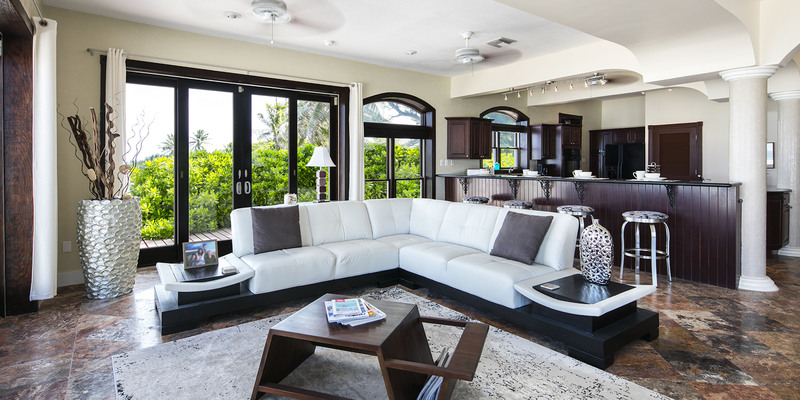 KiToCay's interiors are just as impressive as any home on island. 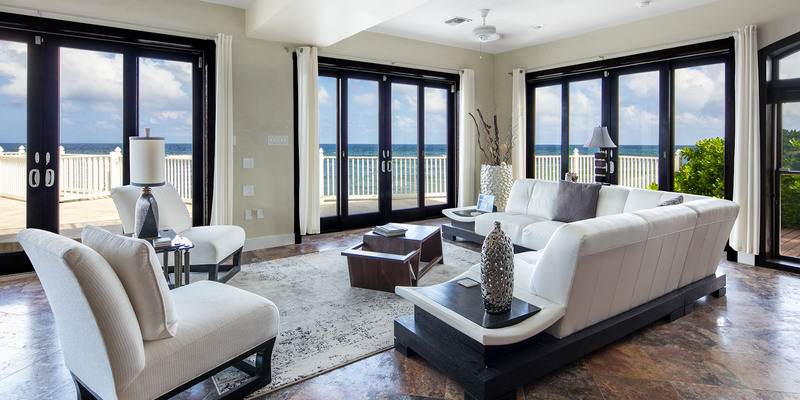 The open concept design, stylishly decorated with contemporary furniture and luxurious finishes, features an oceanfront living area furnished with a plush sectional sofa, large flat screen TV, and spectacular ocean views. 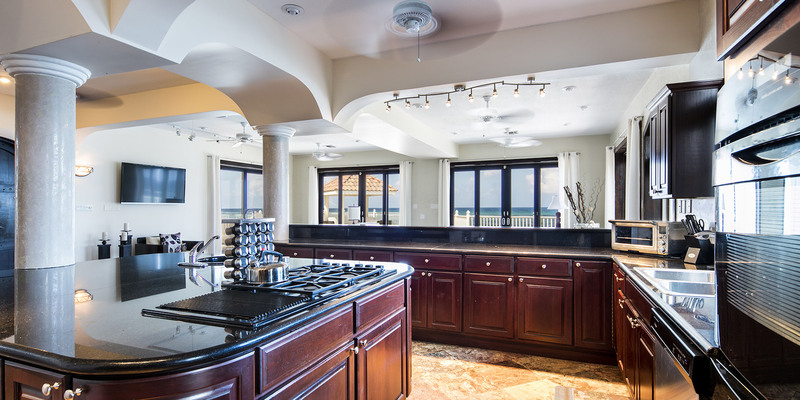 The full gourmet kitchen is a vacationing chef's paradise. Equipped with top-of-the line appliances—including double ovens, gas range and grill top, plus a Keurig coffeemaker and tons of counter space—guests can enjoy the comforts of a home-cooked meal away from home. 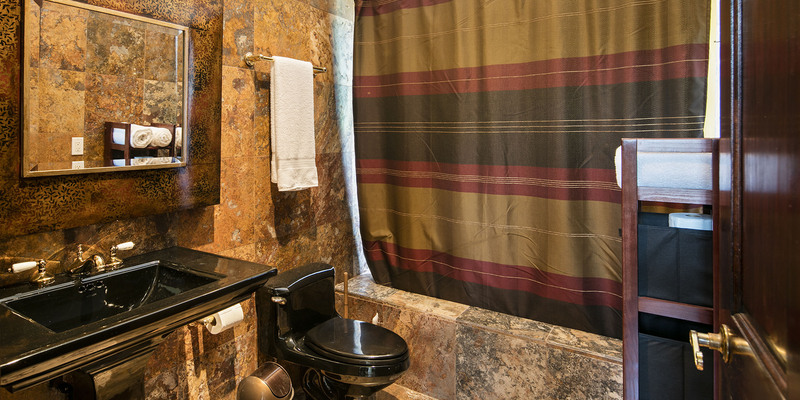 KiToCay sleeps 5 guests comfortably across 2 queen bedrooms, plus a daybed in the den. 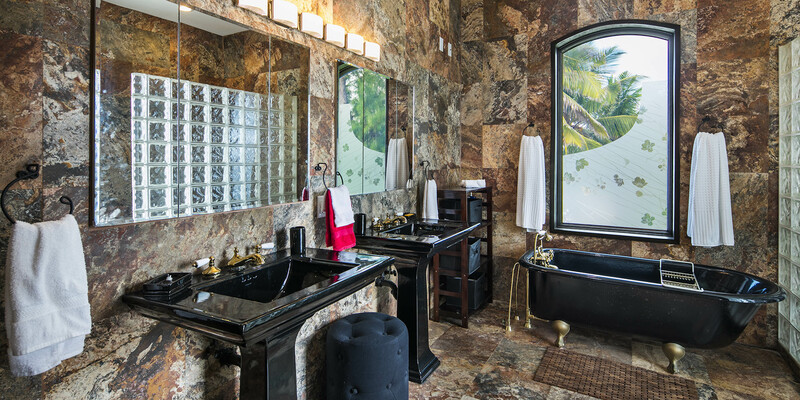 The master queen parlor suite is located on the second floor with en-suite bath and an over-sized private balcony. The second queen bedroom and den are located on the main floor off the dining area. Nearby, guests can walk to a public dock in the mornings and buy freshly caught fish from local fishermen. A couple of restaurants and a quaint dry-goods grocery store are also nearby. KiToCay appeals to small families with children, traveling couples, honeymooners, or snorkelers. Discount rates are available for smaller groups and seasonal bookings. The owner welcomes small weddings and private events. Weddings require a 7 day rental and supplemental damage deposit. The beach at KiToCay offers excellent shallow water snorkeling. The property includes a sandy lot on each side of the property with seawalls for protection. The sandy areas are maintained by the owner. The waterline, due to mother nature, can be either pebbly or sandy but otherwise very flat for walking into the water with foot protection or swim fins. The marine area is vibrant and we don't want our guests to step on a sharp shell shards, urchin spine, or rough corals with bare feet. All beaches in Grand Cayman are technically "public" (owned by the Queen) and the beach at the Rum Point Club, 5 miles west, has restaurants, water sports, bars, gift shops, etc. This was our third trip to Grand Cayman and we wanted to try a spot off of 7-mile beach. KiToCay was perfect for our family. It\'s a beautiful location, with amazing views of the water from nearly every room. There is plenty of room to find your own space when needed and the patio is fabulous. It\'s well equipped with everything you\'ll need for cooking. There was also snorkeling gear and beach towels. The water is too rough and the tides too strong to swim or snorkel from the beach/shoreline here, but there are lots of beaches within 15 minutes and 7-mile was only about a 40-45 minute drive. The only drawback was the spiral staircase, which was is a bit tricky to manage, especially with suitcases. It was nice to be able to walk to a restaurant – Over The Edge. The food was very good. We\'d definitely stay here again! We have rented many homes over the years but this one is unique. Located on the shore of Old Man's Bay, a beautiful view awaits you from both the upper and lower levels. 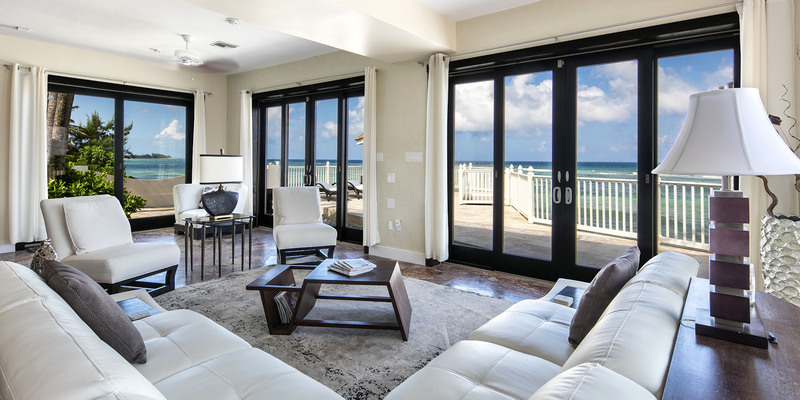 Exquisite designer details inside are accompanied by thoughtful touches, including even beach towels and snorkel gear. 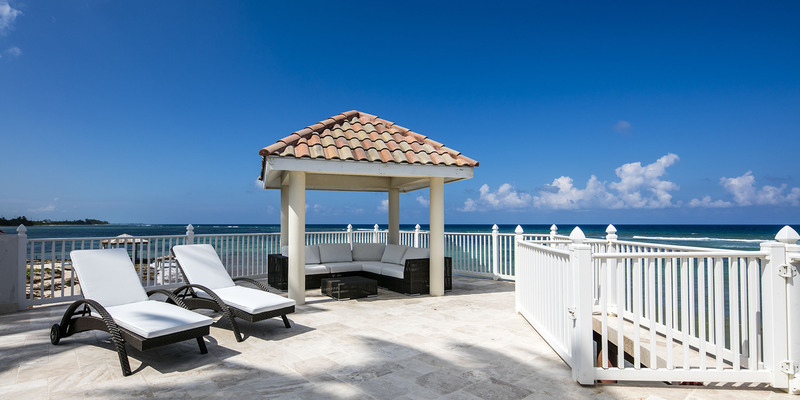 We certainly would not hesitate to return for another peaceful, pampered stay at KiToCay! Thank you for your kind words. We hope to have you back again soon! Very pleased, as was my family. Four of us (parents and two adult kids) each had our own room. One of the rooms is a quasi sitting room with large couch but it is a complete room with door. A second couple could have used the second bedroom. The property management team is superb as are the "Perk" of Silver Thatch down the street with equipment checkout and and nice gym. Kitchen is a dream kitchen for many and fully outfitted. Property Manger allowed local grocery to deliver and stock before we arrived. For what it is worth, I had not "grasped" the extent of what Silver Thatch offered. You guys all mentioned it plenty of times, but I just shrugged. Once we got there and saw the new facility, gym and equipment.... it all sunk in. Pam and her assistant Paula were wonderful. We had a grocery store stock the place before we arrived which was soooo the way to do it.... likely to see us again. Absolutely beautiful place. Property manger and asst. we’re very helpful and did a great job making this a great home away from home! Thank you! Spend your time on this balcony, NOT in traffic! Our stay at KiToCay was perfect. Our family of four was amazed at the attention to detail, from the stunning balconies, to the gorgeous home design upgrades, to the supplies left for our use. We have been to Cayman before and had the opportunity to stay on Seven Mile. I strongly recommend this home to avoid the crowds. 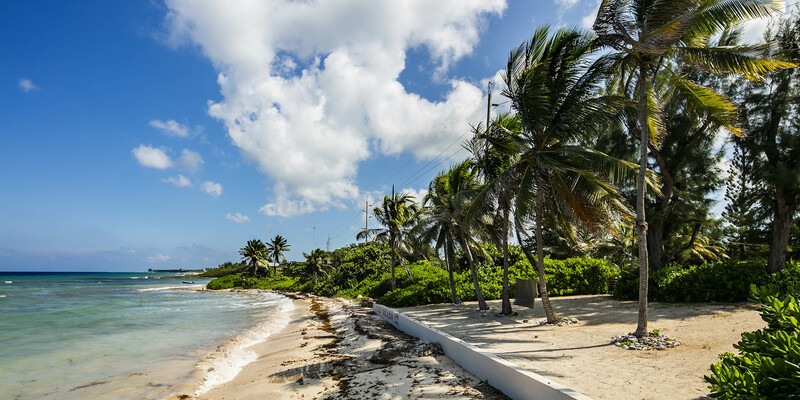 There are plenty of gorgeous beaches and cool beachfront restaurants all around the island to enjoy. We could not have been happier with the entire vacation. We have stayed at KitoCay twice and would love to go there again. The home is lovely and the expansive lot and ocean front view is wonderful. Large, well-maintained and convenient to other beaches and restaurants. 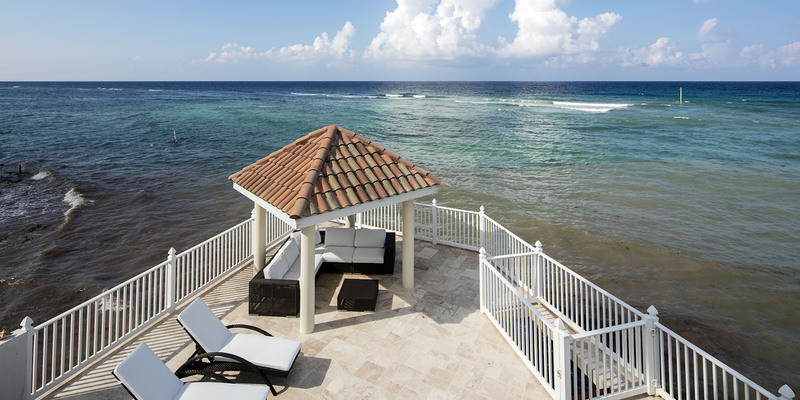 I wouldn\'t consider going anywhere else on the Grand Cayman. I stayed here with my extended family and it was absolute perfection. This house is literally *on* the water (the back deck extends out into the ocean). The beach is lovely, and the ocean area is good for snorkeling. The sunrise and sunset are incredible. It\'s a short walk to a restaurant / cafe, also on the ocean. For us, the daily routine was: kids play on the beach and parents relax above on the deck. Our favorites in the area were Kaibo and Tukka. Stingray City and other west-side favorites aren\'t far away (it\'s not a large island). All in all, great getaway spot. This was surely a breathtaking home! The home literally sits on the beach, which means feeling like you\'re in paradise all day long. The spacious home is equipped with everything, from lounge chairs, towels, tanning lotion, kitchen utensils, pots/pans, fishing poles, laundry supplies, and most importantly...an entire collection of movies! Not even a block away from the restaurant/bar next door and maybe a 10 min drive to Rum Point beach. AMAZING ALL AROUND-WILL DEFINITELY RETURN! What an extraordinary setting to enjoy our vacation from. We loved the location, the serenity and the ambiance! The panoramic views are spectacular from daybreak to sunset - even the evening stars put on a show for you! Every comfort from home has been thought of. We can\'t wait to come back! 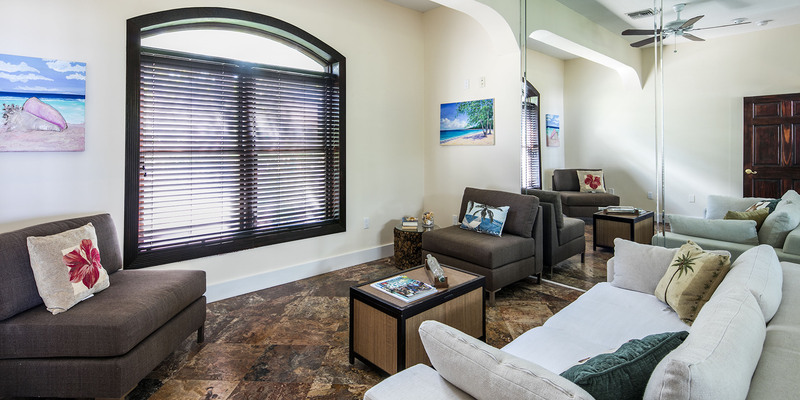 We love the luxury and comfort of KiTo Cay. 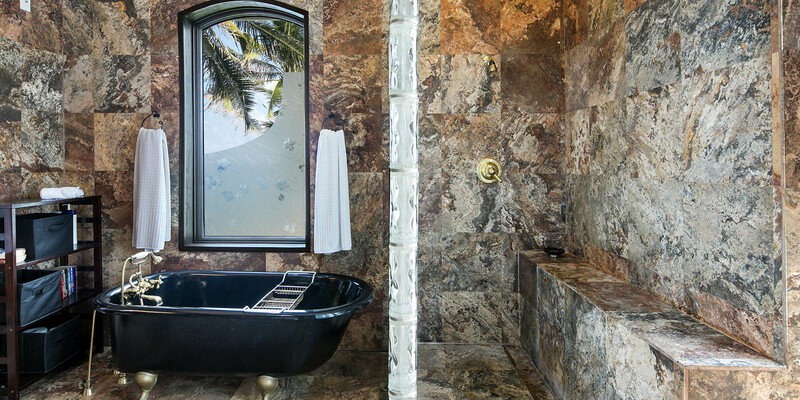 This villa offers first-class amenities in a beautiful setting perfectly situated on crystal water. KiTo Cay boasts a private beach which is populated with contented, gentle stingrays. Spectacular! We left Grand Cayman so relaxed and can\'t wait to go back to KiTo Cay. Highly recommended. Great place to relax. A truly private beach. The side yard is private, too. Spectacular ocean view with a reef a hundred yards or so from the beach. Quaint restaurant/bar within walking distance. 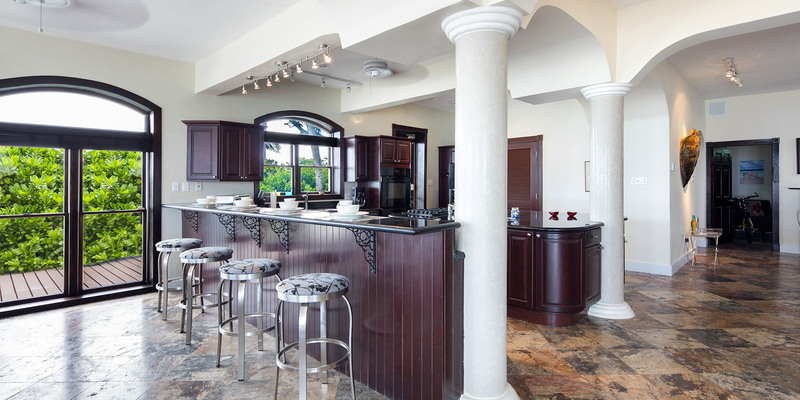 Huge kitchen with lots of counter space to cook & entertain. Definitely will stay there again! The property was just as it look in the pictures. We were two couples and it was great. We were together in the great room when we wanted to be together and we each had our own floor to be alone. Perfect location in a quite neighborhood. Beautiful home with awesome ocean front views. Amazing snorkeling with reef right off the back deck. Walking distance to Over the Edge restaurant with great breakfast, lunch, and dinner. We were evacuees from Hurricane Harvey in Houston and had to miss the first 3 days of our rental due to flooding. Wish they could have offered some sort of refund or credit towards a future rental. Unfortunately we could not refund as it was a situation coverable by insurance. 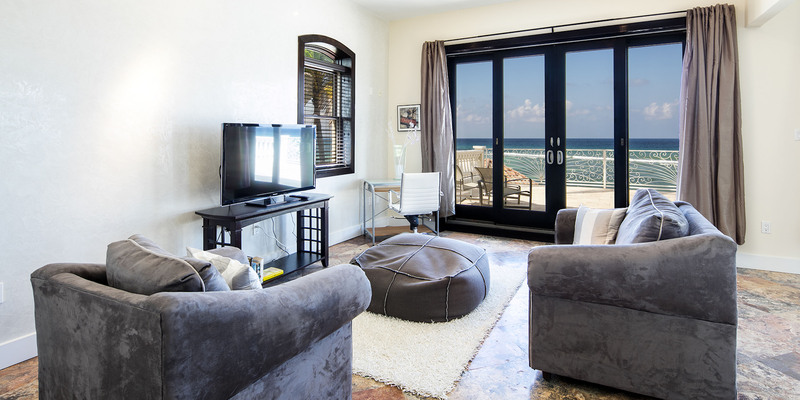 We wish you could have accepted our offer for two extra nights at KiToCay during your stay. Glad to hear about the amazing snorkeling! We are happy to hear that you had a great time. The house was AMAZING!!!! Very clean and well stocked with household items. The views were incredible. It was our little piece of heaven for four days. We were more than happy with this beautiful home and all the luxuries it provided. The amazing view alone was well worth every penny. The management was quick to fix anything if we needed it and accommodated us with a wifi box when the other went out. You will not be disappointed if you stay at the KitoCay! We will definitely be back. This is an exquisite property. 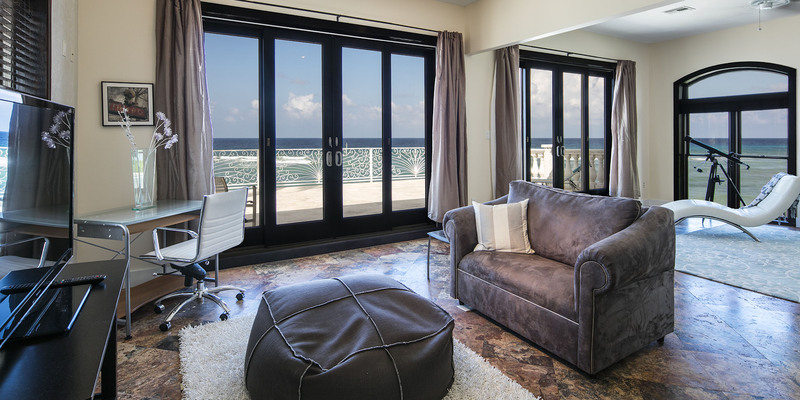 The home has extensive floor to ceiling glass windows & doors, offering breathtaking views of a beautiful reef. The property includes spectacular beach lots on either side of the home, just steps off the large patio. Every room is well appointed and comfortable. The kitchen was great. We will be back! We rented KiToCay for the beautiful decor, which was just that - beautiful. But the view was astonishing! Every day we sat outside looking at the open sea. The beach area next door was perfect for us and the snorkeling there was wonderful! Thank you for sharing your home with us! We have come to Grand Cayman for 4 years in a row. We have stayed at 4 different properties all on the northside away from crowds. We love the Rum Point area during the day and there are several excellent restaurants in the area as well - Over the Edge, Tukka, Lighthouse, Italian Kitchen, kaibo and Rum Point have all become favorites. Kitocay is by far our favorite and we will return next year to this home. The inside is true to the pictures and beautiful. Much larger feeling than the pictures suggest. The upstairs master is huge. There were only two of us, but next year we are bringing friends! Highly recommend Kitocay to all!! My husband and I prefer to stay in a location where 'attractions' are accessible, but where we're not in the middle of them. For that purpose, KiToCay was perfect. No matter how much driving around and exploring we did during the day, we always enjoyed returning to the quiet and privacy of KiToCay on Old Man Bay. Also, we've rented homes on many Caribbean islands, and KiToCay had everything to make a kitchen feel like a home, rather than a sparsely-equipped rental property. When we arrived, the cell phone didn't work and we couldn't get on Wi-Fi. Joan, at Over The Edge restaurant nearby, called Pam Parsons, the EXCEPTIONALLY-responsive property manager who helped us right away. Actually, carrying the cell phone (which KiToKay provides) made us feel like we were never really alone, in the event we needed anything at all during our stay on Grand Cayman. The upper deck is fabulous. We saw two moon rises and beautiful starry skies. It was very windy while we were there. Still, we enjoyed watching and hearing the waves roll in. We may have spent more time on that deck than inside the house! 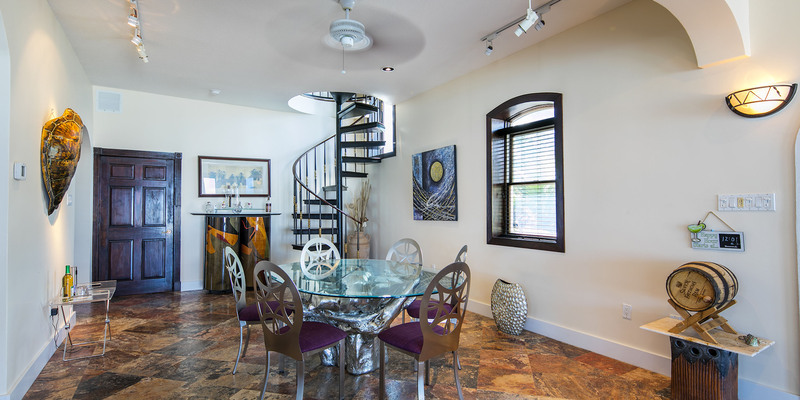 Finally, the 14-step spiral staircase was not a problem for us, but potential renters should know that their quadriceps will get a workout there!